Located in a conifer-laden forest on the road leading to Abitibi, Pourvoirie Maxime is 120 km north of Mont-Laurier, at the north-western extremity of the Haute-Mauricie. It stretches over 20 km in length and a half kilometre in width with two magnificent lakes, Maxime and Robert, which total 13 km in length. 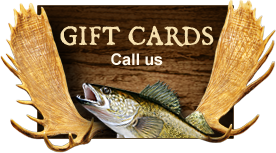 It’s a hunter’s paradise for moose and partridge, and an exceptional place for fishing walleye. Because Pourvoirie Maxime has a limited number of accommodations, it makes for a quiet wilderness getaway in rustic comfort. Our five cottages, with room for 3 to 8, have everything needed to make your family and friends comfortable. Four of our cottages are located near the reception area, with the fifth being on an island. 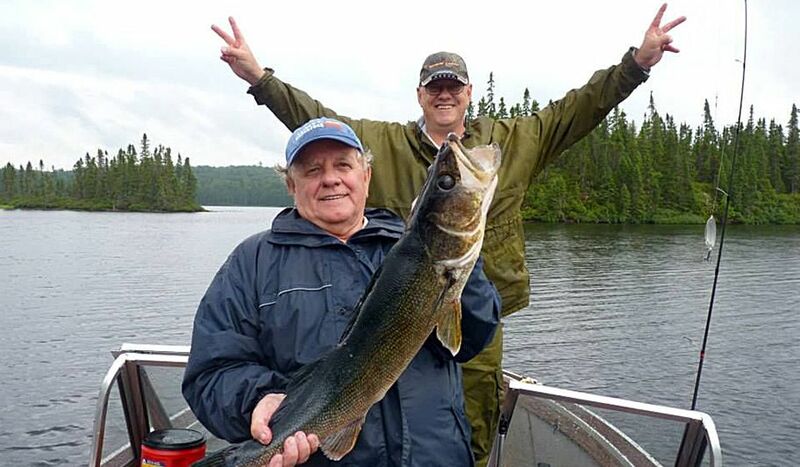 Lakes Maxime and Robert are over 13 kilometres in length and offer many bays to cast your line and catch one of the tastiest fish: walleye. But even the less experienced in your group will easily be able to get the attention of the many pikes in our lakes. Since our grounds are more modest in size compared to our competitors, you’ll enjoy hunting without the “crowds”. 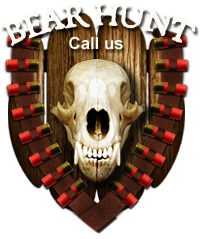 You’ll be sure to cross paths with the many moose and can also challenge yourself to a more particular prey, the black bear. After the moose hunting season, we remain open during the month of November for the small game experience. 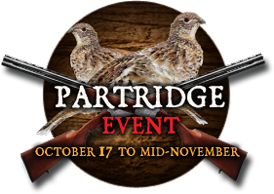 Enjoy hunting partridge, a game bird much-appreciated by gourmets, in a quieter setting. With your small game permit, you can also try your skills with the hares you will encounter. Since we’re more modest in size than our competitors, you’ll enjoy our natural setting without ever feeling “crowded”. Rent a cottage for your family or bring your friends. Our lakes, where you will likely not encounter.